Alisha Zahid, a former Salford resident and student at Bolton Sixth Form College, has launched a campaign which aims to dispel stigma of mental health and improve support within further education institutions. Having lost someone close to suicide and experienced episodes of anxiety in the past, Alisha is determined that her ‘Behind the Obvious’ campaign will try and change attitudes among students in Salford and across Greater Manchester. Increasingly, alarming figures pertaining to young people’s mental health continue to come to light in mainstream media. NHS figures published this year have revealed that nearly 400,000 children are in touch with mental health services, and that the number of ‘active referrals’ from GPs is one third higher than it was two years ago. This said, in a 2013 study of 14-18-year-olds by Time to Change, the organisation reported that in the space of just a few years, there has been a significant improvement in attitudes and understanding regarding mental health. Alisha hopes to channel this renewed understanding by encouraging peer support among students. Although better awareness of mental health is a reason to be optimistic, students like Alisha believe schools and colleges should play a central role in preventing mental health crises by providing initial basic support, and a stigma free place for students to talk. This is a principle that has also been shared by the government in recent years, who, in 2017, announced a that every state secondary school in England will be offered one funded place on a young people’s mental health course, delivered by leading social enterprise, Mental Health First Aid England. According to figures obtained by Mind in Salford, of the 22 secondary schools within Salford LEA which are eligible for the government scheme, only 11 of them have attended a course – leaving another 11 schools yet to be trained. Therefore, as well as trying to affect change within the student community, the Behind the Obvious Campaign is calling upon every state secondary school in Salford to take up the offer, so that in the event of a mental health emergency, there is informed support readily available. Akin to this, the campaign calls for free MHFA places to be extended to include staff at sixth form colleges and further education institutions. Alisha has started a petition on this issue, which you can sign here. Alongside Alisha, Mind in Salford have written to every school and further education institution in Salford to urge them to support student wellbeing, and sign the Behind the Obvious campaign petition. 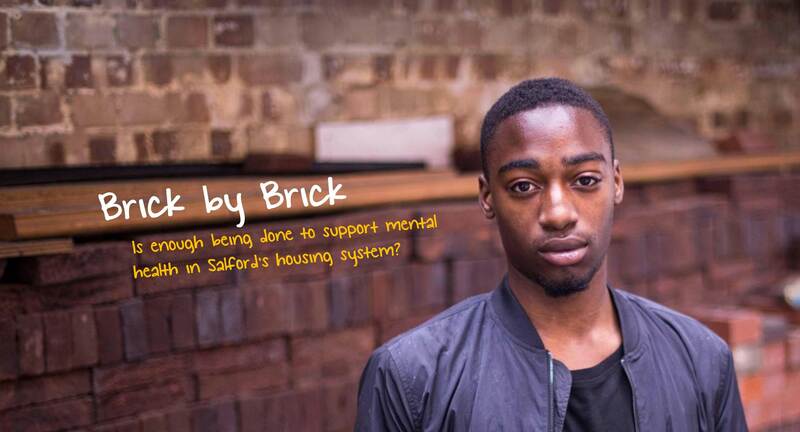 For more information on MHFA with Mind in Salford, visit their website here, or to find out what training is on offer with Mind in Saflord, click here. If you are educational professional who is unsure if you are eligible for free Youth Mental Health First Aid training, please contact, schools@mhfaengland.org. This entry was posted on Tuesday, October 9th, 2018 at 4:52 pm	and is filed under Blog, News. You can follow any responses to this entry through the RSS 2.0 feed. Both comments and pings are currently closed.